Why go? Oooh − isn’t it hard deciding which Caribbean island to visit? The key points to know about St Lucia is you can get there on direct flights, it’s safe and friendly, and it offers a great variety of things to do. It does get more rain than some other islands, but that means its mountains have gorgeous green forests that are well worth exploring. When? Go now if you want to escape our cold and capricious weather. The price of flights and hotels drops at the end of April with the best deals generally available for travel outside the school holidays. 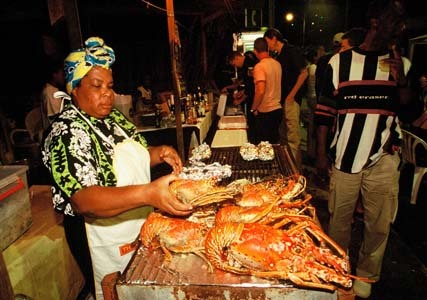 Key party moments this year are the St Lucia Jazz Festival (30 April-12 May, stluciajazz.org) and the St Lucia Carnival (28 June-16 July, luciancarnival.com). Look for packages at simplystluciaholidays.co.uk, tropicalsky.co.uk and virginholidays.co.uk. You really must… St Lucia is an island of many parts. Most beach hotels are on the northwest coast around Rodney Bay, which is a 90 minute drive from the airport − see the journey there as a free island tour. A second clutch of upmarket hotels is centred on the Pitons, a World Heritage site with two steep-sided volcanic cones that are the island’s best known attraction. Castries, the capital, is a ramshackle port where the atmosphere changes according to whether there is a cruise ship visiting − the central market is the best place to look for souvenirs with Saturday the busiest day. The island has reasonable beaches and some have black sand, but the star attraction in St Lucia is its rich green mountains with their bountiful rainforests, crashing waterfalls and flamboyant flora. This is a great island if you like to hike, learn about nature or try ziplining (adventuretourstlucia.com). You can also go sailing − there are catamaran cruises to the Pitons from the north (stluciaboattours.com), or take a day trip across to the French island of Martinique (stluciawaveriders.com). If you’re happy driving on hilly, tortuous roads then hire a car, otherwise book excursions which are also a good way to meet St Lucians and learn about island life. 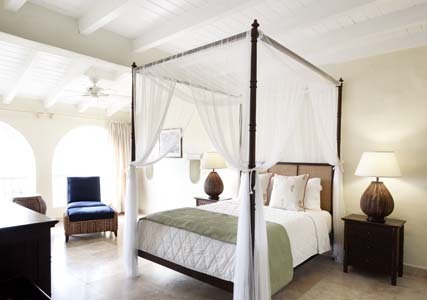 Stay at: On the northwest coast, Windjammer Landing (windjammer-landing.com) opened over 20 years ago and has steadily grown into an easygoing resort with 330 rooms and villas that are set on a hillside overlooking Labrellotte Bay. It’s so steep there’s a shuttle bus to get guests around (or at least back up the hill after dinner), and there’s a small sandy beach with complimentary watersports. If you want to stay in style go for the Hibiscus Suites which have a jacuzzi on the balcony, while the one-bedroom villas are a good family option. Higher up, the estate villas with three and four bedrooms and a private pool have terrific views. Amenities include a spa, daily activities, kids club and dive centre, and it’s a 15 minute drive into Rodney Bay where you’ll find shops, restaurants and nightlife. Packages give the best value − C by Caribtours (caribtours.co.uk/cbycaribtours) offers seven nights from £899 per person, based on two sharing an Ocean View room including breakfast, return scheduled flights with British Airways and shared transfers. Bookings must be made by 15 April and include a 30 per cent accommodation saving, seven nights for the price of six and complimentary daily breakfast. In the south, the hotels near the Pitons tend to be luxury boltholes − stay in the hills at the designer Hotel Chocolat (thehotelchocolat.com), or on the beach at Sugar Beach, A Viceroy Resort (www.viceroyhotelsandresorts.com/sugarbeach). Dine at: Up on the hillside at Windjammer Landing, Papa Don’s Taverna serves satisfying Mediterranean dishes such as Moroccan-roasted dorado (£19), while cocktails start at £5. All-inclusive options are available, but it’s worth having some meals at local restaurants. The Coal Pot (coalpotrestaurant.com), on the waterfront in Vigie Marina, near Castries, is a good spot for a French/Creole lunch, while the Friday night Fish Fry at Gros Islet mixes a party atmosphere with lots of fresh and inexpensive fish cooked before your eyes. There’s a similar scene at Anse La Raye in the south, while Boucan (thehotelchocolat.com) specialises in ‘cacao cuisine’ − dishes cooked with cocoa and chocolate. Bring home: Rum − if you’re touring the island call into St Lucia Distillers (saintluciarums.com) in Roseau Valley (near Marigot) and buy from source. The prices are extremely good − go for the Chairman’s Reserve. Other popular buys are spices, hot sauces (and they are hot! ), and cocoa sticks (best used grated when you’re making a chocolate cake). 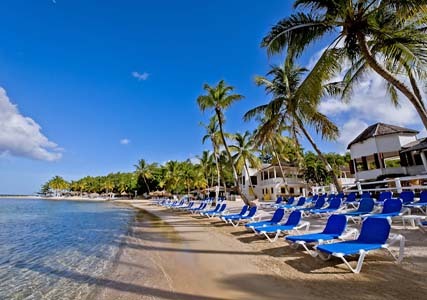 Book now: British Airways (ba.com) flies from London Gatwick to St Lucia from £645 return. Info: Insight Compact Guide St Lucia (£6.99; Insight Guides) covers the island and has suggested tours, for more information see stlucia.org.